Remove cleanly. No surface damage. Hook is reusable and will hold up to 3 pounds of weight. 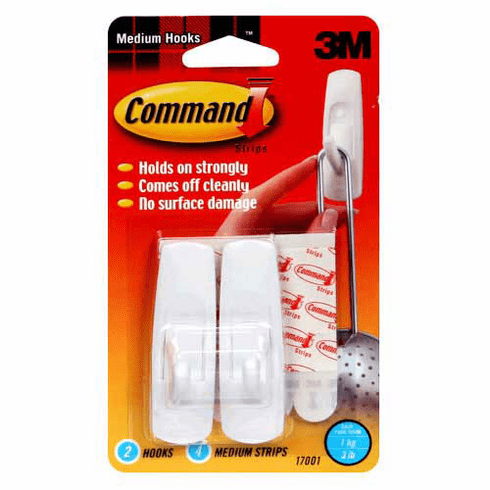 Package includes 2 hoooks and 4 command adhesive strips.